Time zones. Canada has 6 different time zones from Atlantic coast to Pacific coast, but in Nunavut, there are three time zones, so you have to adjust your watch frequently to make sure the you are at right time. One community in Nunavut, Coral Barbour, make this even worse, it is located in Eastern Standard Time zone, but its time turns into as the Central Standard time as it does not adopt the Daylight Save system in summer season. because of the time zones, you flew two hours, but the arrive time was the same with departure time. Transport. 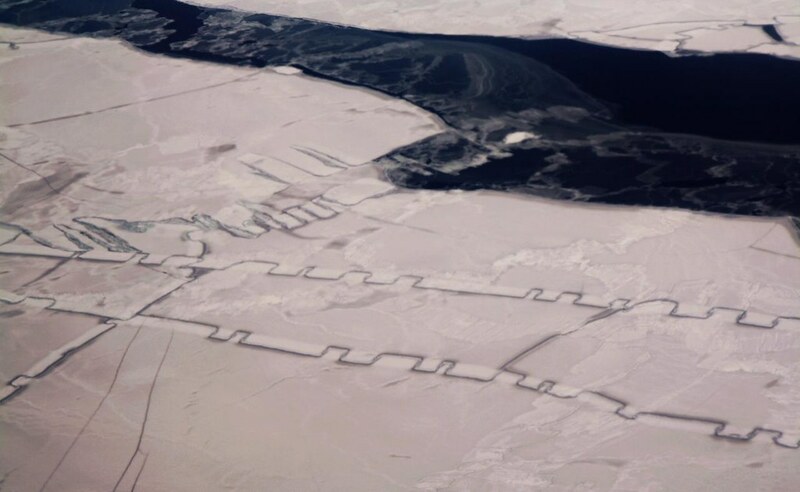 There is no road in Nunavut connecting neighbor communities and cities. Except hunting, air is the only way for business travelers, even it is as close as 60 miles. Take the trip from Igloolik to Hall Beach as an example, we still had to travel by air, and that was only 15 minutes flight. You can see your destination when air plan climbed to normal flight elevation from departure airport, and you are ready to land. Logistic. Logistic is always the biggest challenge for traveling in arctic. Some places don’t have enough hotel rooms for a large team ( our team consisting of 7-11 people). so it was very common for us to share rooms with coworkers or strangers in some cases. Rooms were shared, but don’t expect cost would be reduced by half, one night hotel cost (actually spend on one bed) is more than what you pay for a week long holiday in Las Vegas from Toronto. In addition to accommodation, food was another challenge, some small hotels did not have restaurants, we had to prepare our food from previous location. 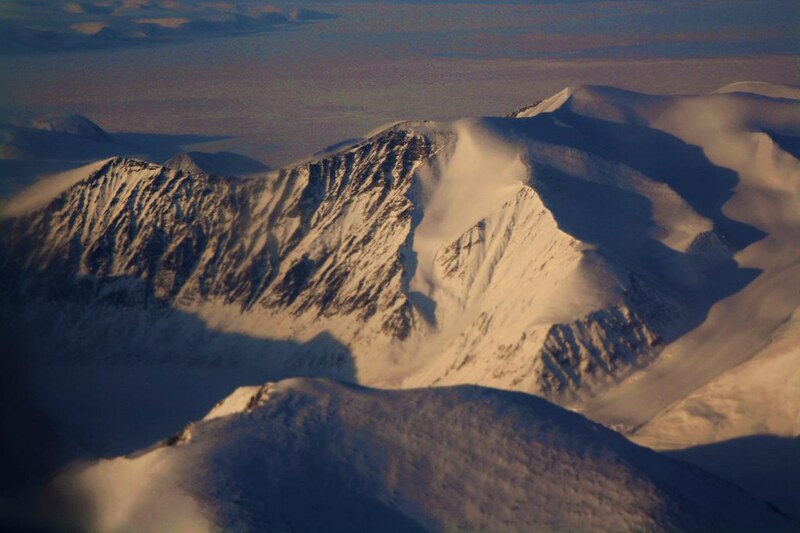 Travel in arctic is tough, but picturesque landscape and breath taking aerial scene will make every effort you made worthwhile. Here are some photos I took during the trips. 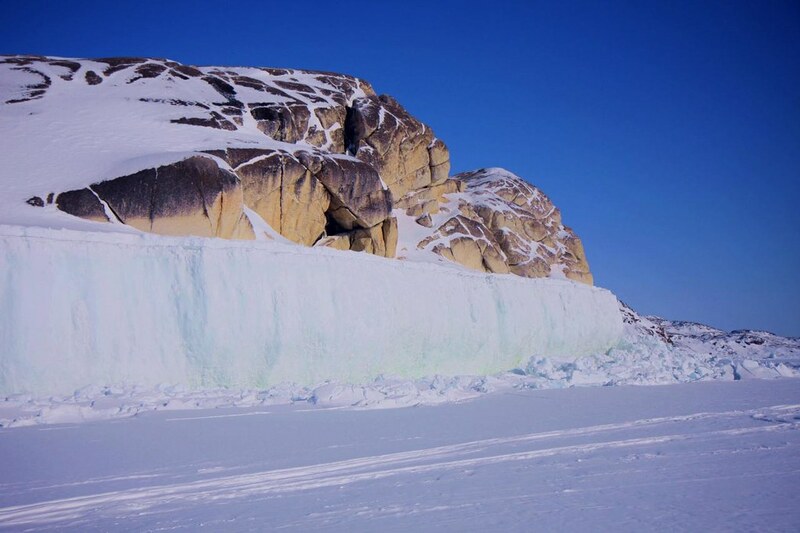 This is a big rock in front of Kimmirut, it shows the the difference between high tide and low time, at low tide, whole sea ice dropped about 10 meters, and ice bound on the shore became a ice cliff. 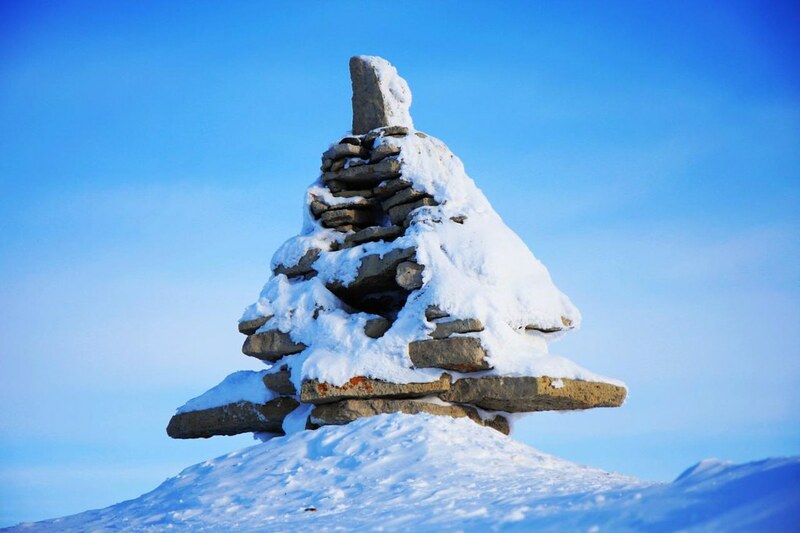 a Inuksuk in Igloolik, Igloolik has the longest human habitation history in Canada arctic, it is said Inuit lived Igloolik since 4500 years ago, and therefore rich in archeological resources. Spectacular ice caps under sunset, they are close to Clyde River, lie northeast cost of Baffin Island, containing some of the most dramatic scenery on earth. 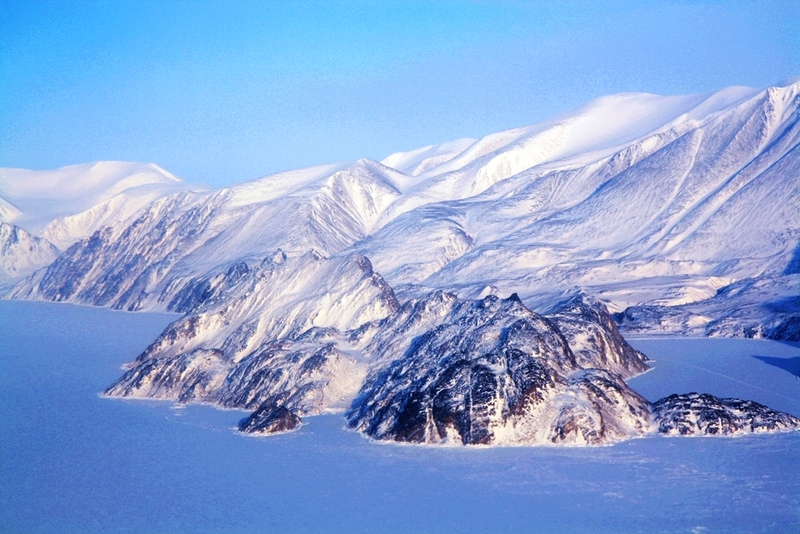 Picturesque Kimlik National Part at Pond Inlet. 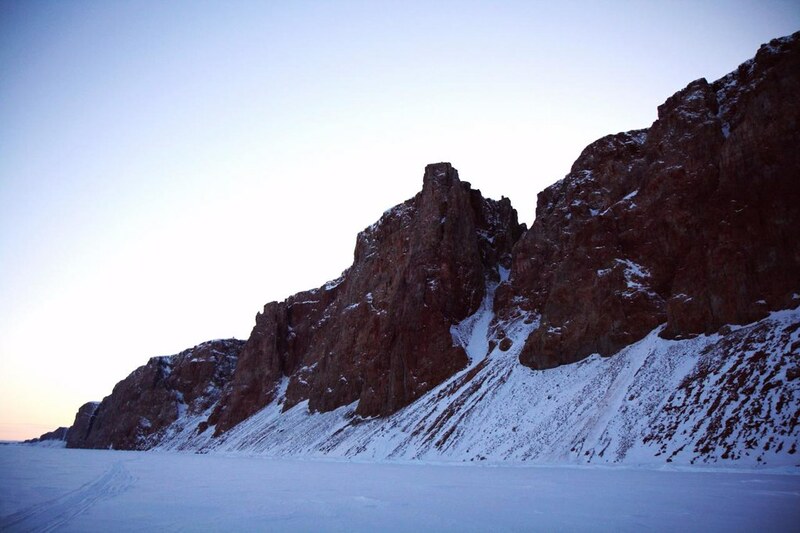 A red cliff under midnight sunshine in Arctic Bay. 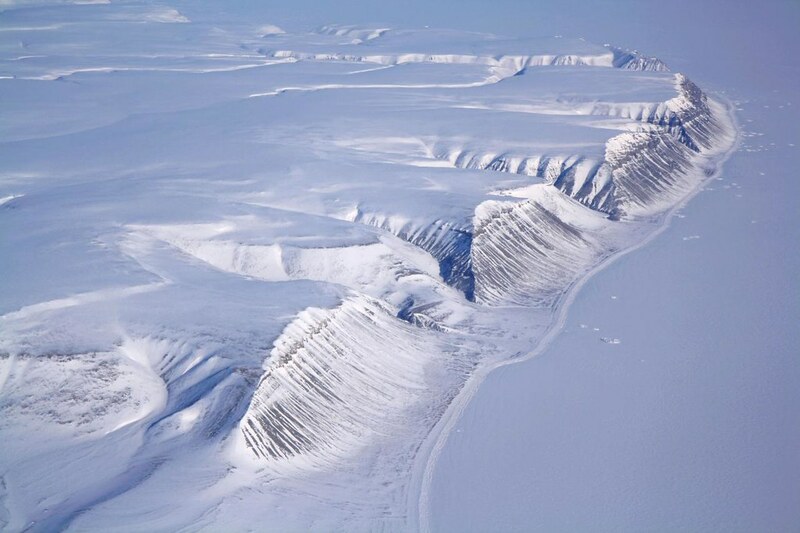 unique coast cliff at Borden Peninsula, a transit from arctic to high arctic. Strange patters and open water lead on pack sea ice in Lancaster Sound, Lancaster Sound is the east portion of famous Northwest Passage connecting the Atlantic Ocean and the Pacific Ocean. 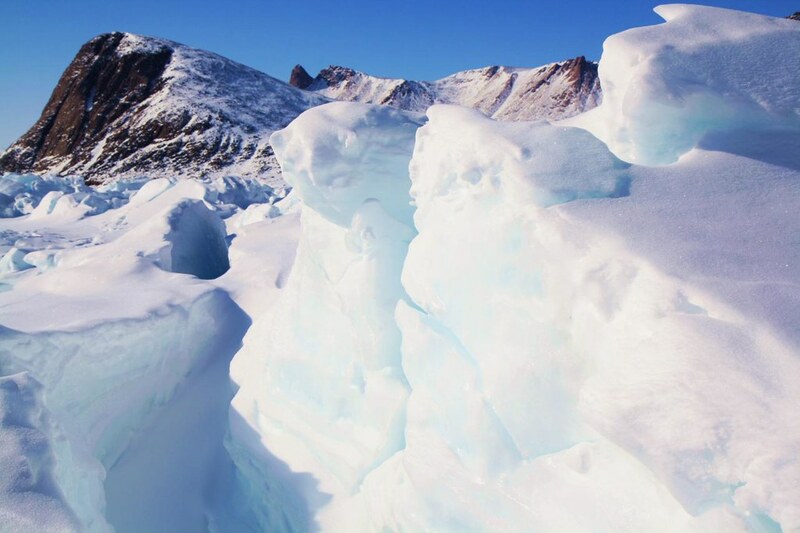 Actual, some of the arctic ocean never frozen up even under minus 60 degree due to strong ocean currents, the opening is called lead, which is critical to marine wildlife living in arctic year round. 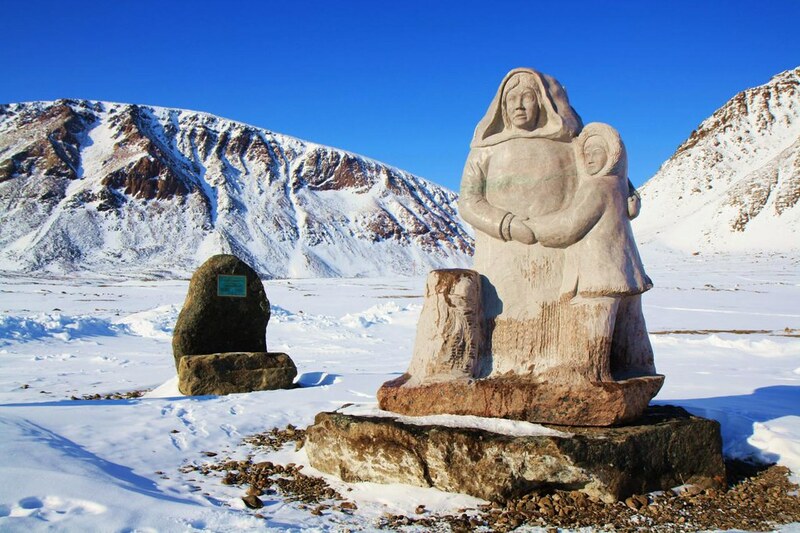 A sculpture in Grise Fiord, and a new monument pays tribute to Inuit who were relocated to Grise Fiord from Northern Quebec by the federal government in the 1950s. Rough fast ice in front of mountainous Grise Fiord, it is the Canada’s most northerly community with a latitude 76 degree, and distance to the north pole only 1040km. How northerly it is? it is 1160 km north of the Arctic Circle, with in which, any piece of land or water is called arctic. This entry was posted in 随笔杂谈, Life in Arcitc, Travel. Bookmark the permalink. haha, Summer.Thanks for comments for those photos. Speaking of Arctic, I understand that not so many people like cold weather, not mention arctic. but you live in warm and Britain, cold weather will bother you so often. Thanks Jenny, some time it is interesting, but most of times, they are tough, it is windy year round, it would a pleasure if wind dies out. Thanks for visiting, i see your Journey of Beautiful Life has resumed, and it is joy read you new entries after quite a while. keep update and share. I think that no one can take such fotoos then u do Wolfy..
What a pics jesus These are awesome .Fantastic haha the prices as high as a week Las Vegas??? my God. I do hope ur boss payed the bill?? and when u fly u can see the place where u land.?? Mr Wan Li…u are a priviliged person.U have these imagines in ur head no?? ur eyes see and u absorbe. hehe Wolfy enjoy the 24 hrs daylight..Font forget to go to bed in time U hear!!! you can also say no one never experience the tough duty travel as i did, MJ. My boss paid the costs indeed as that is party of our business get paid. that is true when you climbed to normal flight elevation, you have to descend to land, only 90km distance. 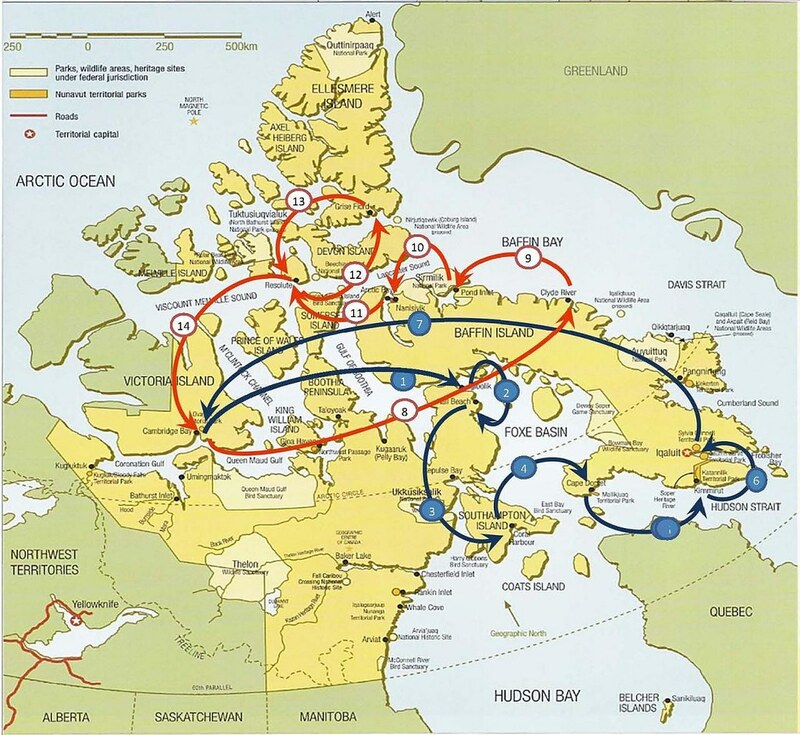 i am lucky i could have chances to experience those scenic places, Pond Inlet is the most scenic place on whole Baffin Island.you could make it by cruise ship as many German do. i talked abt this with my colleague. well she said. sitting at a terras having a drink in the evening could be killing before u know its morning. And indeed as u say we have a watch. U can make ur room dark ?? Yes, i make my room dark using aluminum foil and heavy curtains. otherwise it is impossible to go to sleep well. below zero is ok, but when it below -40, it would be challenge, but we can still handle as it is not uncommon during travel. you too, enjoy a nice weekend! Yeah Carrie, that is rewarding part for people like me work here when we face the harshest climate on the planet. now it is 24 hours day time again, and hope the sun at your BC not hide always. the sunny season is coming soon i guess. you would soon enjoy your prosperous life on your ranch. thanks Jenny, and hope you have another great week. this week is supper busy for me, but it is getting warmer and nicer now. Eddie, sorry for not coming back and reply your questions, actually this is my second trip to high arctic, but did not get some good shots at the first trip. summer season in arctic is quite different as snow covered tundra will turn into follower blanket in the short growing season. there are few road in each settlement location, but definitely no road to connect one to another. everything is depend on sea lifts, a total different worlds from our “normal” world. “Normal” I don’t call the ‘rat race’ ‘normal’ our life up here is excellent, easy going, lots of laughter, clean water, clean wide open spaces, great fishing/hunting, and best of all clean air. Not even I would be able to afford an airplane ticket to go anywhere like the High Arctic. I consider myself one of the very lucky few who gets to travel to places I would have never been able to afford to go, Life is good. 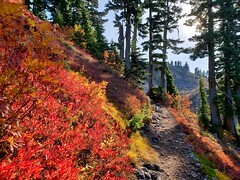 We got accustomed to being ripped off by our own government, we have no paved roads that are connected to the rest of our beautiful country, but it’s ok, we don’t want to see our beautiful scenery scarred by bulldozers anyway. 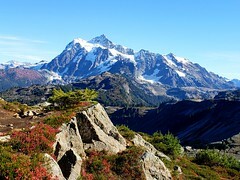 welcome to blossom blooming world in short summer, and icy world in other time except in summer. Oh wow, what a trip! The pictures are BEAUTIFUL! And I enjoy all the info you give us about the arctic! Always interesting to read you. Thank you again Wolf!!!!!! thanks Jana, it was a long trip but there was lots fun when traveling all those small communities. Hahahaha, happy to hear that they help you feel cooler, unique condition in arctic makes so many things usual. Long time no see…and I don’t even know that you have become a well-known versatile photographer and adventurer. 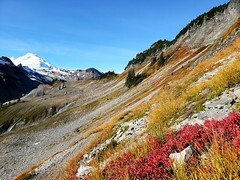 Couldn’t say a word when staring at these pictures:They are as wonderful as those on the National Geography magazine. You’ve done a great work. You must feel a fulfilled life. I am pretty busy at the moment with my new born boy. But I look forward to more visual impacts from your camera.